In a candid conversation, Mohini Binepal, Head- Retail, Ruosh, asserted that shoes in shades such as tan and brown will be the talk of the town. Also, she talked about how Indian men are opening up to invest on shoes. 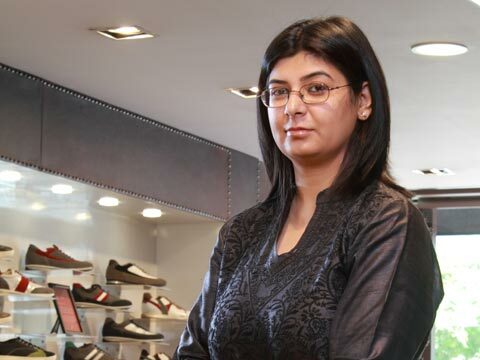 In a candid conversation, Mohini Binepal, Head- Retail, Ruosh, asserted that shoes in shades such as tan and brown will be the talk of the town. Also, she talked about how Indian men are opening up to invest a hefty amount on shoes. Tell us something about the operational model of the brand. We are operating under different formats including EBOs (Exclusive Brand Outlets), LFS (Large Format Stores) and through distributors. Ruosh has 21 EBOs across six cities like Mumbai, Delhi, Bangalore, Hyderabad, Chennai and Pune. Out of 21 stores, Ruosh's six EBOs are in malls. With continued focus on merchandise based on the consumer need and preferences assorted on the basis of various channels of operation, Ruosh has introduced the concept of classification in footwear while analysing men’s buying behaviour and the occasions that influence them depending on their individual personality and the nature of work. What are the trends you have observed in men’s shoe retailing segment? From style and fashion perspective, tan and brown shades would be the ‘in’ thing at work as consumers are now warming up to the idea of colours to work. Driving shoes and boots are trending in the casual category as it gives consumers a huge choice of colours, style and opportunity to express their individuality and moods. Men are investing in shoes for special occasions and they are open to spending around Rs 10-17k on shoes. They prefer to buy distinctive shoes made of rare leather in two-tone finishes to pair their attire right for the special day. Also, men are opting for design elements like braided saddle and woven uppers. As a shoe style, Monk Strap shoes have seen a comeback with people picking it for workplace. What made you step out of the Sara Suole brand and come up with your own retail venture? a) Market research was done in different cities to understand the role of demographics and psychographics of the consumers to build on the value proposition of the brand. b) Need to analyse the consumers by deep diving into the triggers and barriers. c) Ruosh did a store prototype to validate the proof of the concept – on brand product mix, pricing experience before branching out in different cities. d) While scaling up the brand, we also experimented with formats across different cities to sharpen our consumer understanding and offering. Now when you are present in all major cities, how do you analyse malls as ideal location for your brand? Both malls and high streets have their own pros and cons and it’s required to access both spaces depending upon the business profitability on rentals. Other factors such as brand’s alliance to the catchment/ mall and space and size of the store are based on the product that you are selling. What are you criteria of selection while picking up a space in malls? While selecting the Mall spaces, apart from the core selection criteria, Ruosh also analyses the space on parameters such as new mall or an existing mall, management of the mall, target customer, footfall, zoning, super built vs. carpet size, loading capacity, cam charges, marketing and promotion calendar of the mall, to create a buzz factor for the targeted customers. How is the brand’s attitude towards high-street markets vis-a-vis malls? High street markets have been around for the longest time and come with a strong consumer association. As a new entrant in the market, Ruosh started its operation with high- street stores as a destination of men’s footwear in premium category and with our store at Vittal Mallya Road, in Bangalore, which gave us instant recognition not just in the city, but in key metros as well. What are your future expansion strategies? Our expansion strategy next year would be to spread Ruosh via LFS across metro cities and distributors across metros and key Tier II cities. Also, we are retailing via online partners like Myntra, Jabong, Amazon & Flipkart.